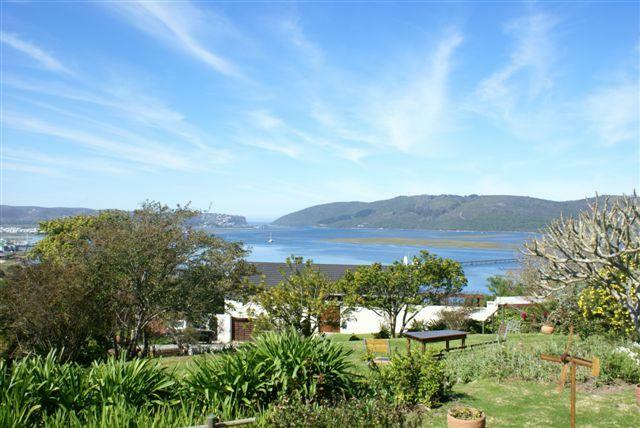 We are situated at 69 Circular Drive, Paradise, Knysna, on a hillside overlooking Knysna estuary and the Heads. We have a large garden in a quiet area close to town and the Waterfront. Parking is off-road and safe. Our two self-catering garden units, both with large rooms, consist of a one-bedroom flat and a two-bedroom cottage, both of which have ample cupboard space, a fully equipped kitchen/dining room, and a covered patio with portable braai.. The flat has a double bed, shower & toilet. The cottage has single beds, bath, shower & toilet downstairs and en suite shower and toilet upstairs. 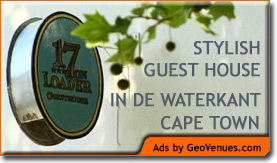 For Guest House accommodation in Cape Town – stay at 17 on Loader Guest House – situated in Historic de Waterkant. Click here for more details.